Asuka Server (アスカ・サーバ, Asuka Sāba) is a server in the Digital World. Asuka Server is one of five servers for the online game Digimon Online「デジモン・オンライン Dejimon Onrain」. It is in the form of an island which is divided into five sectors of differing terrain and climate. 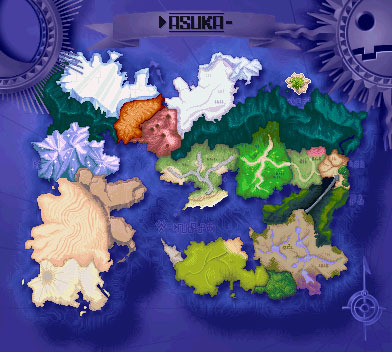 The goal of players for Digimon Online is to travel around the server, defeating each leader situated in the city of each of the four surrounding sectors, in order to become the Server Champ and be qualified in the tournament between the five Server Champs to determine the top player of the entire game. This page was last modified on 6 August 2017, at 09:05.